… aaaaannnnd the winner is! So Jan, congratulations, please email me at wordnerd411@yahoo.com and I’ll get the copy of Quinn McDonald’s Raw Art Journaling to you asap! In fact there’s still time to join in the Artists of the Round Table workshop, because we’re in week one. Thanks to everyone for playing along, and do check out the book when you get a chance! Another actually not so random page from my inspiration alphabet, a perpetually ongoing project. 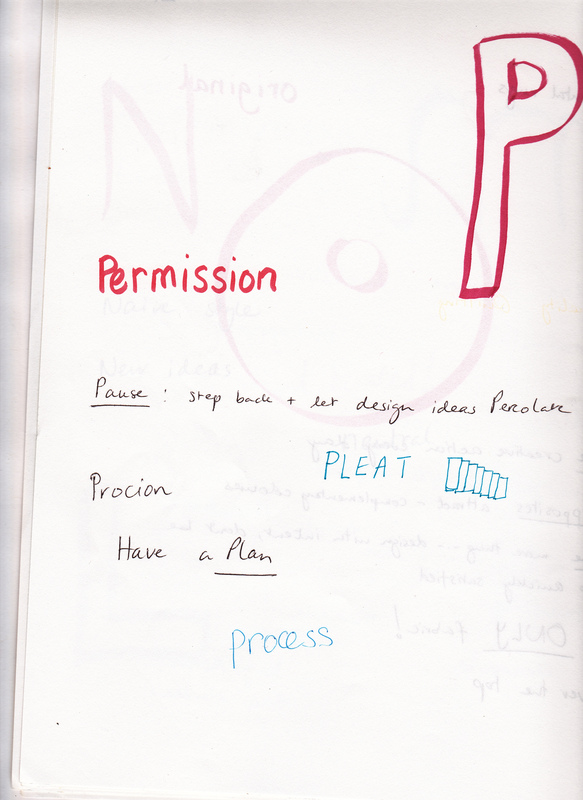 P for Permission among other things, ties in with the Raw Art Journaling online class I’m taking with Quinn McDonald. 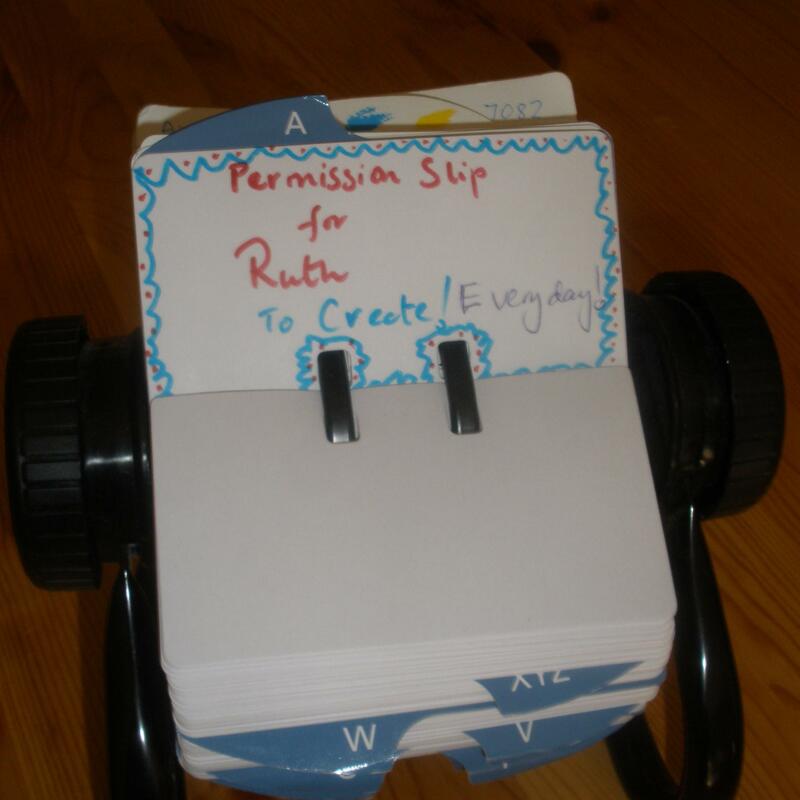 and here are two permission slips, tailor made for me! Fibre Arts Festival Coming Up! The demonstrations will include Tunisian crochet, knitting with wire, weaving, making yarn from fabric, and Saori weaving, which sounds intriguing, because it’s somehow free form. Cathy Miller the Singing Quilter will be performing along with others. This festival was initiated by the owners of Knotty By Nature, who have gathered an organizing group to get this rolling. They must live near us, because their bicycle is always parked by the hedge. 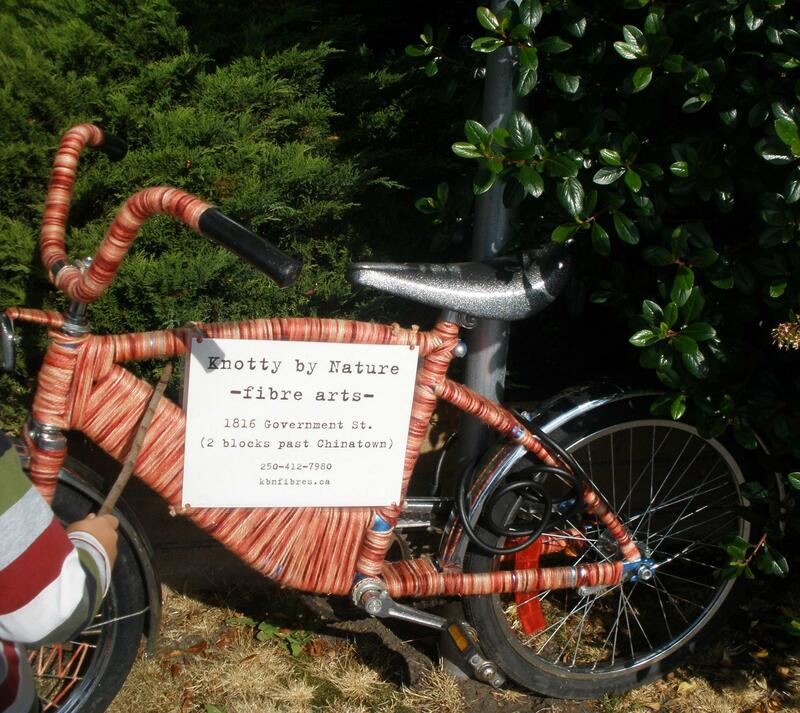 Isn’t this the coolest outsider art? 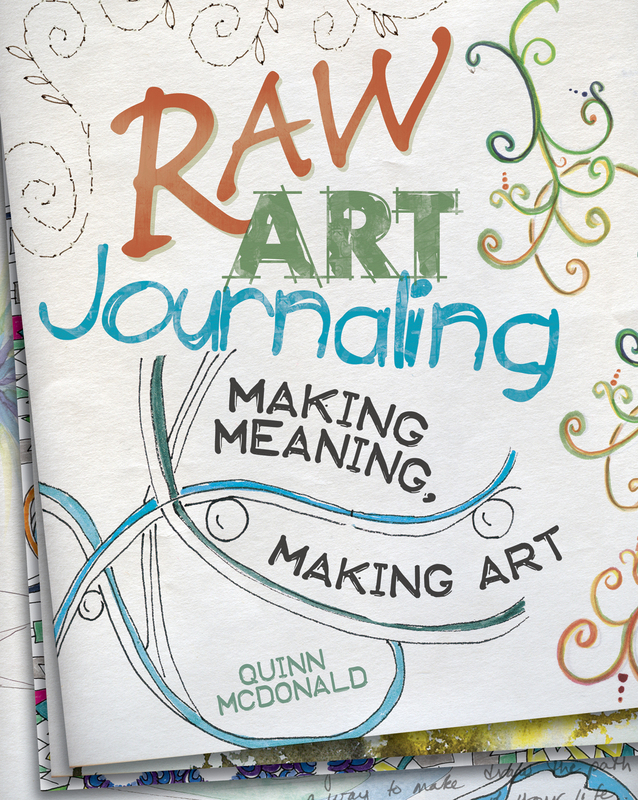 My giveaway of Quinn McDonald’s Raw Art Journaling book will close at 3:00 a.m. Eastern Time on Thursday morning. Weird time, you say? Well, yeah, but it’s midnight on the West Coast, giving local folks an extra chance to get in the fun. 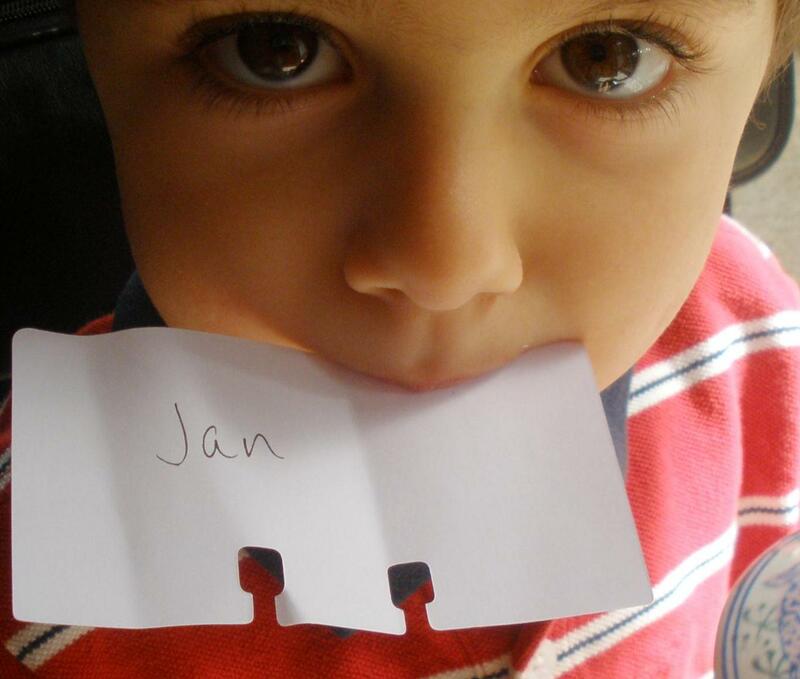 When I get up on Thursday morning, Young Sprout and I will be randomly pulling a name from the hat. To join in: go to the previous post and leave a comment. 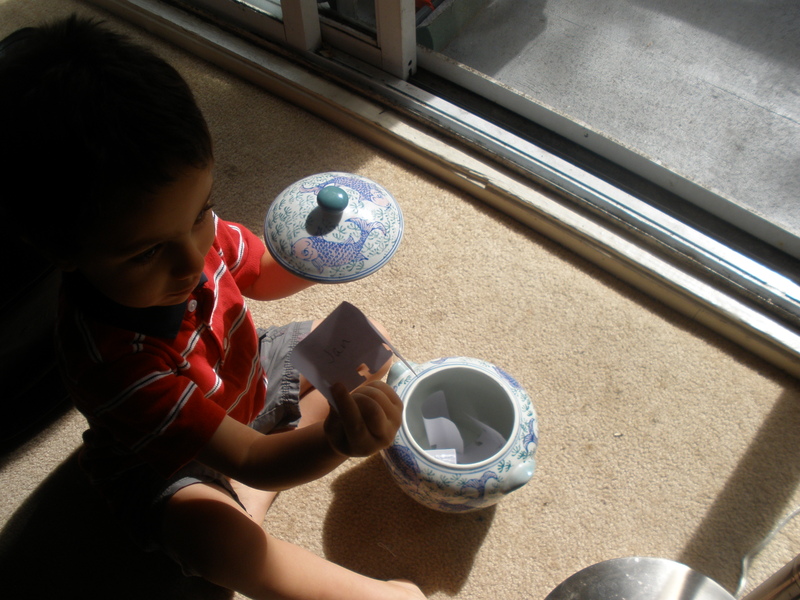 I’ll be in touch with the winner to get their snail mail address. Moments after I published the previous post, UPS arrived with my long awaited copy of Quinn McDonald’s book Raw Art Journaling, Making Meaning, Making Art. So while I’m thinking about the tailor made M&Ms, the rice krispie squares, and the creative fun that will be happening tonight at Changing Hands bookstore in Phoenix, I can be creating alongside in virtual reality! Raw Art Journaling in Action! Here’s TJ Goerlitz demoing raw art journaling techniques from Quinn McDonald’s book Raw Art Journaling, Making Meaning, Making Art, which just coincidentally happens to be launching today. If I were still in Phoenix that’s where I’d be tonight! I met Quinn in Phoenix and have taken classes, both in person and online, and know that her book is a distillation of everything she’s been working on over the past few years. This is an exciting day! Once I have my mitts on the book, I plan to challenge myself to translate some of the concepts and exercises into fibre art. 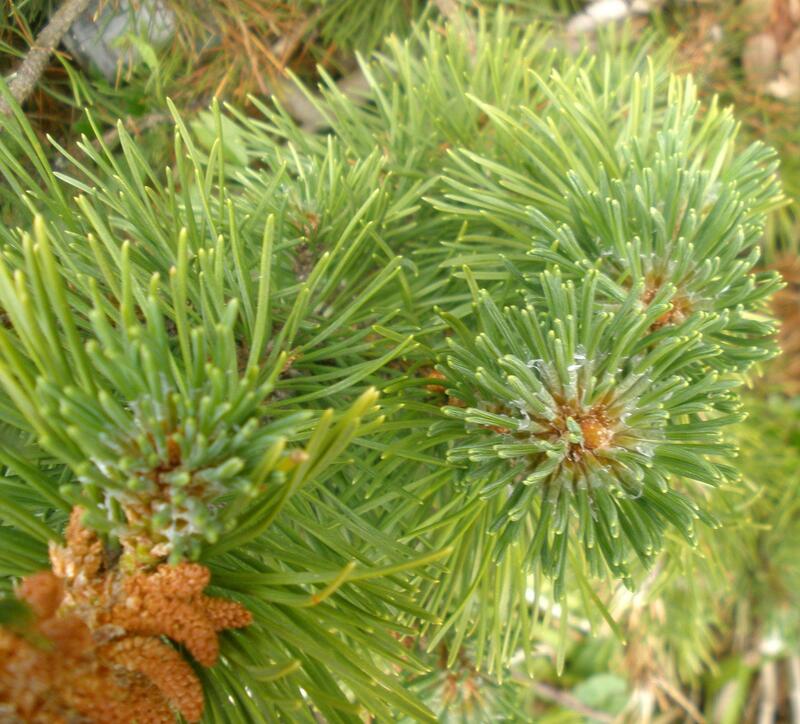 Although we look at flowers head on, how often do we look at the tips of branches? 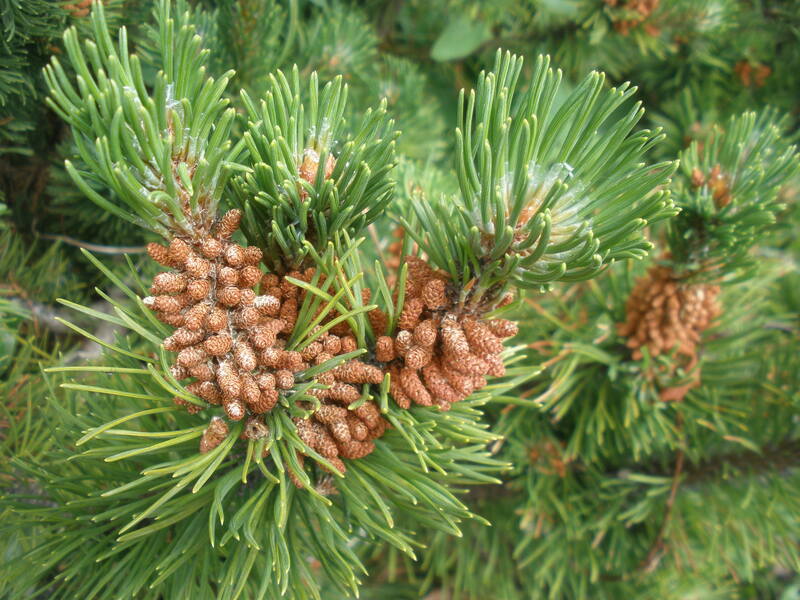 These will grow into pine cones, given time. Nature is not just abundant but symmetrical. And not just symmetrical but abundant.